May 21, 2015 by Henny Kupferstein, M.A. 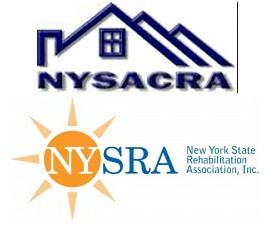 The New York State Association of Community and Residential Agencies (NYSACRA) and the New York State Rehabilitation Association (NYSRA) support A.5141 (Santabarbara) and S.4256 (Carlucci) to add communication support services as a vocational rehabilitation services and to be offered by qualified providers including State licensed speech-language pathologists, audiologists, or individuals trained in treatment for social pragmatic language impairment. NYSACRA represents approximately 200 voluntary not-for-profit agencies throughout New York State. These dedicated agencies provide direct services and supports to thousands of individuals with intellectual and developmental disabilities and their families. The agencies are located in many communities across the state and provide jobs to the more than 75,000 direct support professionals who are relied upon to provide these important services and supports. NYSRA is a statewide 501 (c) (6) organization representing rehabilitation providers who advocate on behalf of individuals with differing abilities and the agencies who serve them. NYSRA’s community providers offer a full spectrum of services to people throughout New York State, including individuals with developmental disabilities, mental illness, deaf and hearing impaired, and vision problems, in addition to addictions, traumatic brain injuries and veteran services. Training is a key component for people with disabilities when seeking and obtaining employment and to be successful in the workforce. Communication and communication strategies are necessary to assist people with disabilities to be successful with training opportunities. Some individuals with disabilities, including people on the autism spectrum, have difficulty with communication and therefore require communication support to enable them to build upon communication skills. A.5141 (Santabarbara) and S.4256 (Carlucci) amend current NY Education Law to direct the Commissioner of the State Education Department to promulgate new regulations to include communication support as a service available to people with disabilities seeking employment. NYSACRA and NYSRA fully support A.5141 (Santabarbara) and S.4256 (Carlucci).